1st in Coffee offers an array of espresso machines that we believe provide an outstanding value to the espresso enthusiast. We look for successful and reliable espresso machine brands with track records for providing quality products backed up by outstanding customer service. 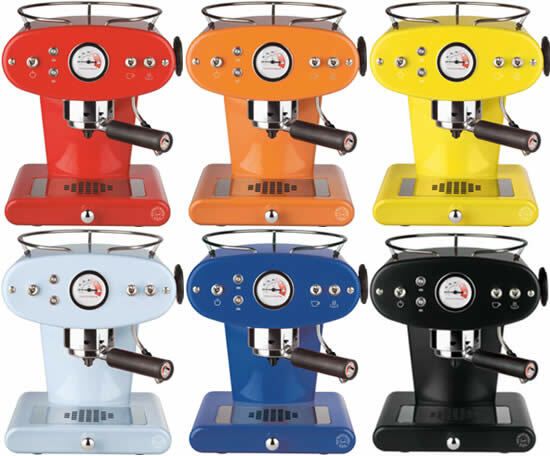 We offer espresso coffee machines such as Jura Capresso Super Automatics, Saeco Coffee Machines, Rancilio Silvia, Pasquini, Elektra and many many more! 1st in Coffee offers free shipping on all espresso makers and we are here to answer your questions and provide expert advice 7 days a week. We look for successful and reliable espresso machine brands with track records for providing quality products backed up by outstanding customer service. We offer espresso coffee machines such as Jura Capresso Super Automatics, Saeco Coffee Machines, Rancilio Silvia, Pasquini, Elektra and many many more! 1st in Coffee offers free shipping on all espresso makers and we are here to answer your questions and provide expert advice 7 days a week.